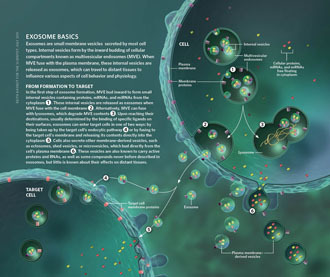 Exosomes, membrane vesicles of 40-100 nm in diameter, are derived from endosomes in various cells. 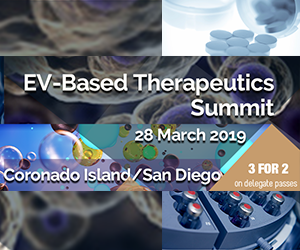 The bioactive molecules specifically packed into exosomes can be horizontally transferred into recipient cells changing their biological properties, by which tumour cells continuously modify their surrounding microenvironment and distant target cells favouring cancer metastasis. 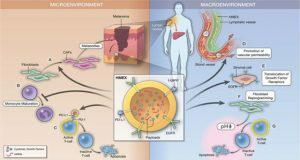 It has been suspected for a long time that exosomes participate in the whole process of tumour metastasis. 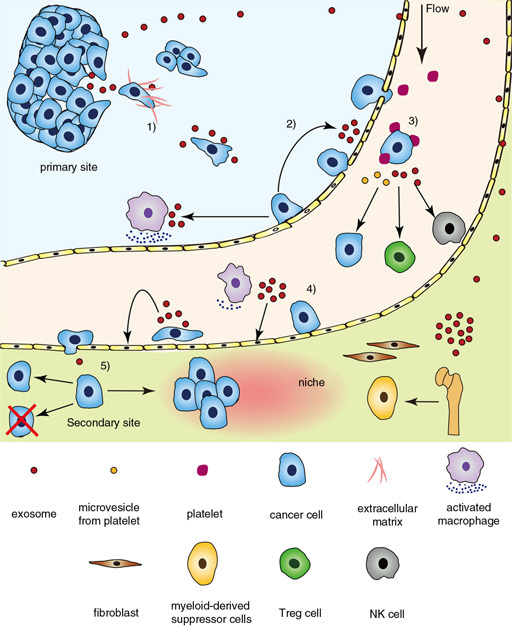 Although there is much unknown and many controversies in the role of cancer exosome, the major contribution of tumour-associated exosomes to different steps of cancer metastasis are demonstrated in this review. 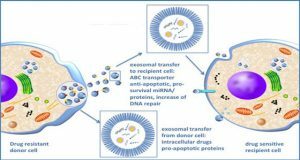 Mainly because these exosomes are easily accessible and capable of representing their parental cells, exosomes draw much attention as a promising biomarker for tumour screening, diagnosis and prognosis. 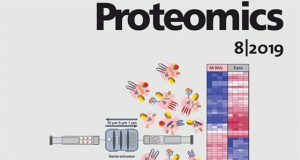 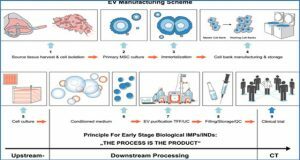 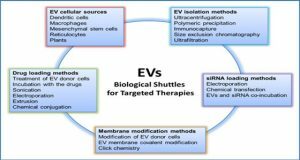 Currently, researchers have found numerous biomarkers in exosomes with great potential to be utilized in personalized medicine. 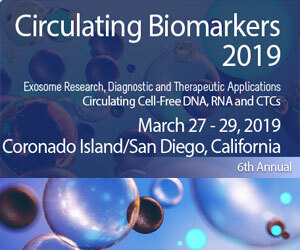 In this article, we summarize the roles of biomarkers, which are validated by clinical samples. 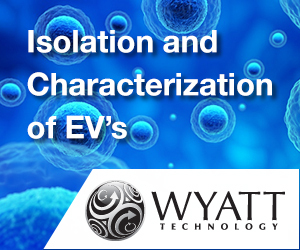 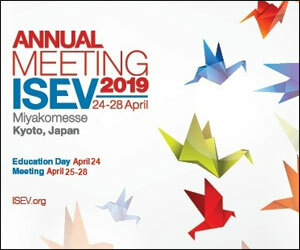 Even though many conundrums remain, such as exosome extraction, large multicentre validation of biomarkers and data interpretation, exosomes are certain to be used in clinical practice in the near future as the field rapidly expands.